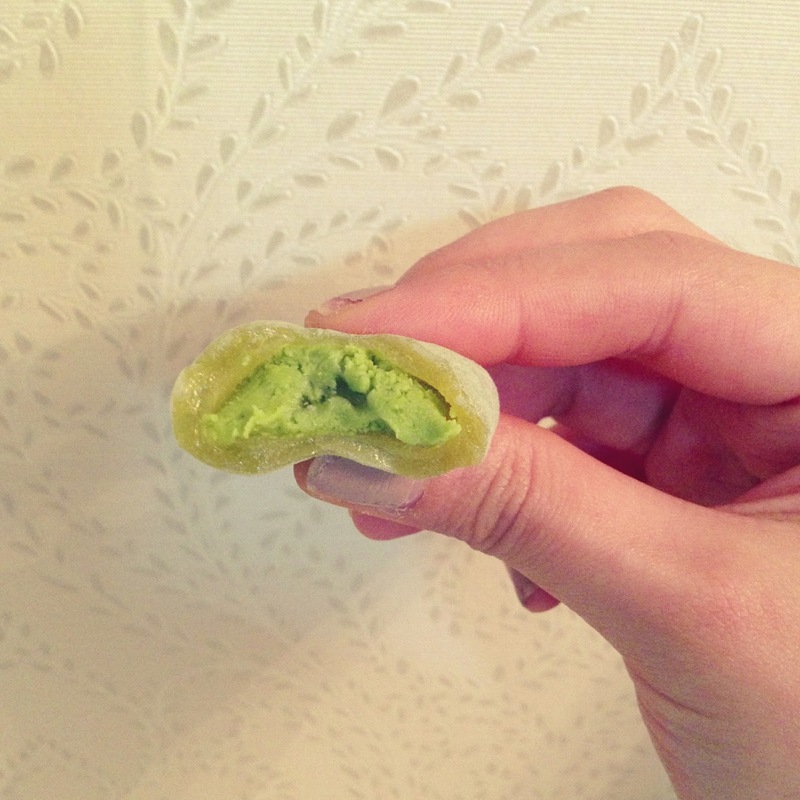 The Expat Chick: Chocolate Mochi! Apologies for the absence of Movie Monday this week..I did watch Lone Ranger but really it's really below my expectations and *sigh* I don't want to waste my breath talking about it! But, don't be sad here I show you something really amaayyyzinnnggg! This is Bourbon chocolate mochi, I first encounter this when I was in Japan. 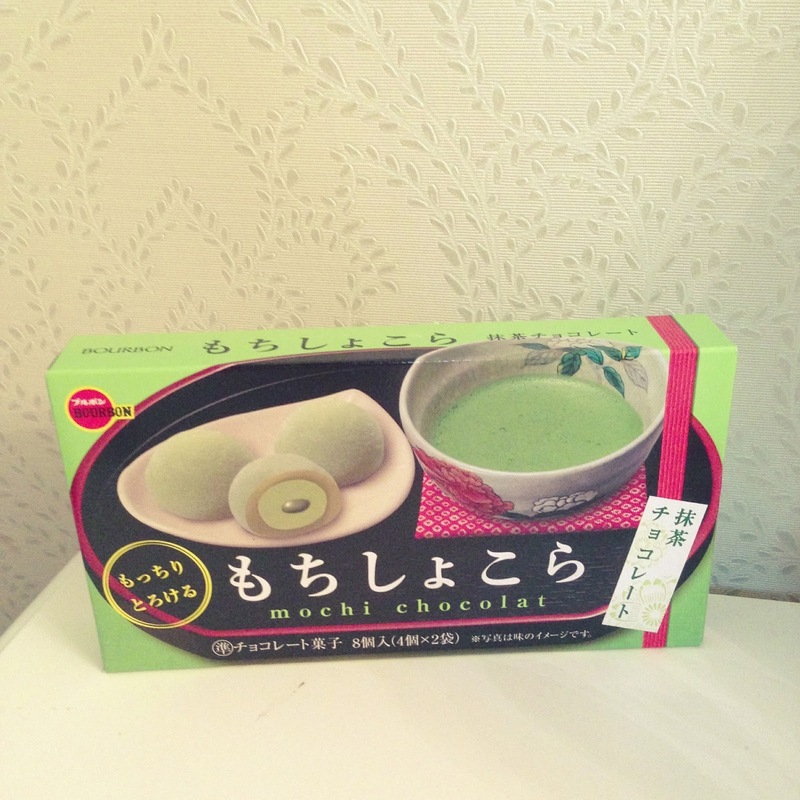 I was in the 7/11 looking for japanese sweets to snack and see this..I'm always like intrigued by something matcha flavour and or something mochi so when I saw this, it's just right up my alley! 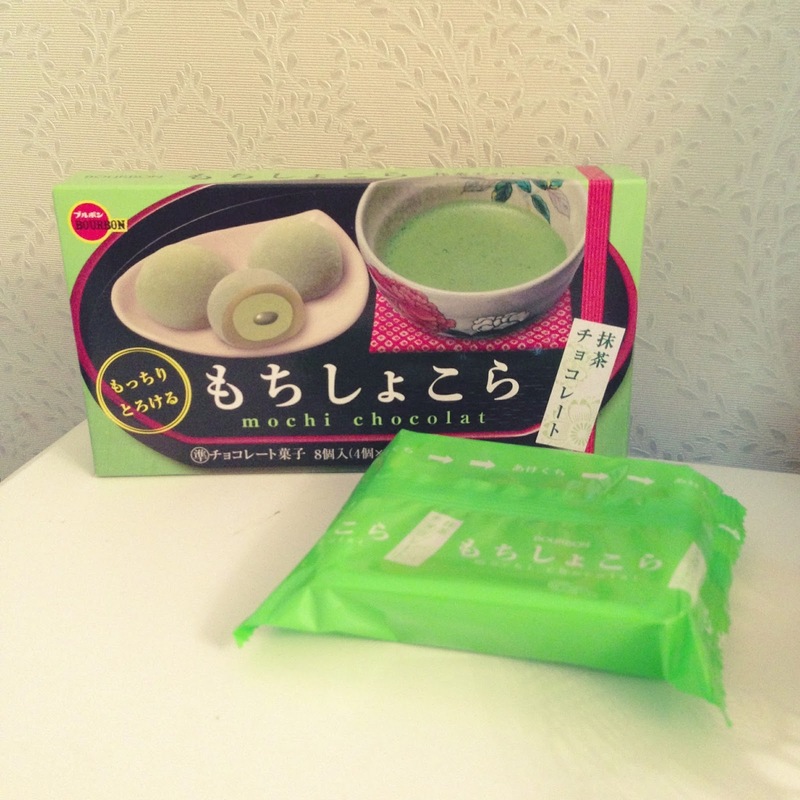 I'm a bit hesitant at first, to be honest seeing the packaging and think about it that they're boxed mochi the first impression is they are not going to taste right and fresh and nice and the mochi will probably dried up and most probably the matcha chocolate taste cheap and plastic-ky ( little that I know I should not underestimate Japanese sweets ever!) Anyway, seeing the price (I remember it's around 100-200yen) not so expensive so what the heck i just try one box. Being a greedy sweet tooth of me of course I bought the other things I found interesting in the shop and totally forget to eat this until the last day I was waiting in the boarding room (which is one of the most hateful thing to do in my opinion) and start eating this and oh..my..gosh..they are the most moist, delicious, not too sweet, gummy, yummy, soft, bouncy, mochi with a very yummy, delicious, milky, matcha flavored chocolate!!! I totally regret that I didn't eat this earlier! If I did I swear to chocolate mochi heaven I'm going to stock up like hell! BUT hold and behold! 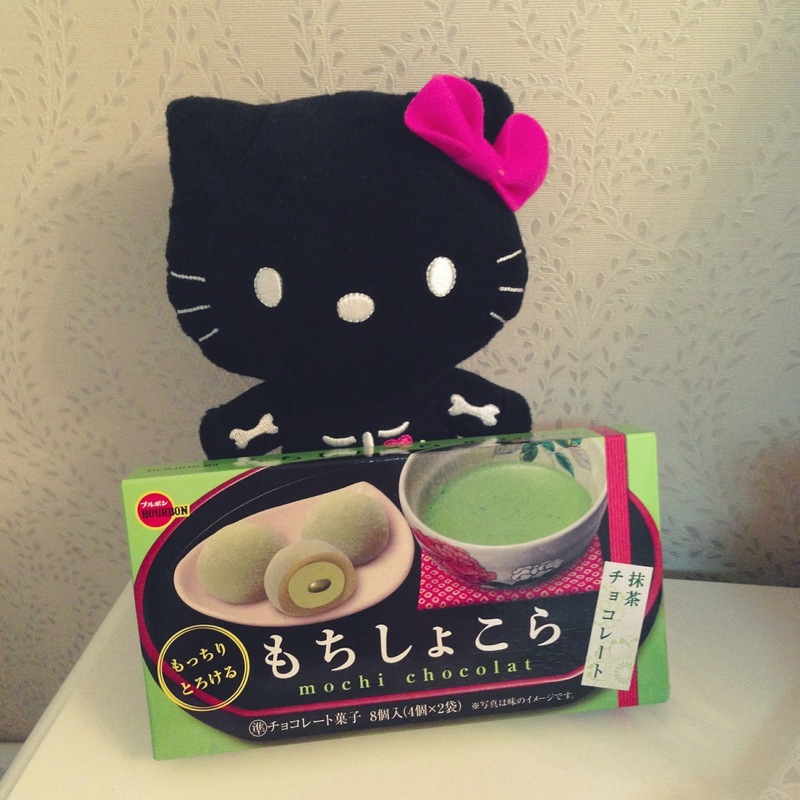 Two weeks ago, I went to Isetan supermarket and I found this!!!!! SO HAPPY! I swear they didn't sell this before! It $5.20 here too expensive I think since I remember in Japan it didn't cost more than 2$! But still okay lah..it totally worth my 5$..I have eaten 3 boxes ever since and this is my last one :'( Each box comes with two small packets of four balls..So total 8 balls in one box :( I wish they have more inside like 16 or 20 balls..that would be amazing lol! 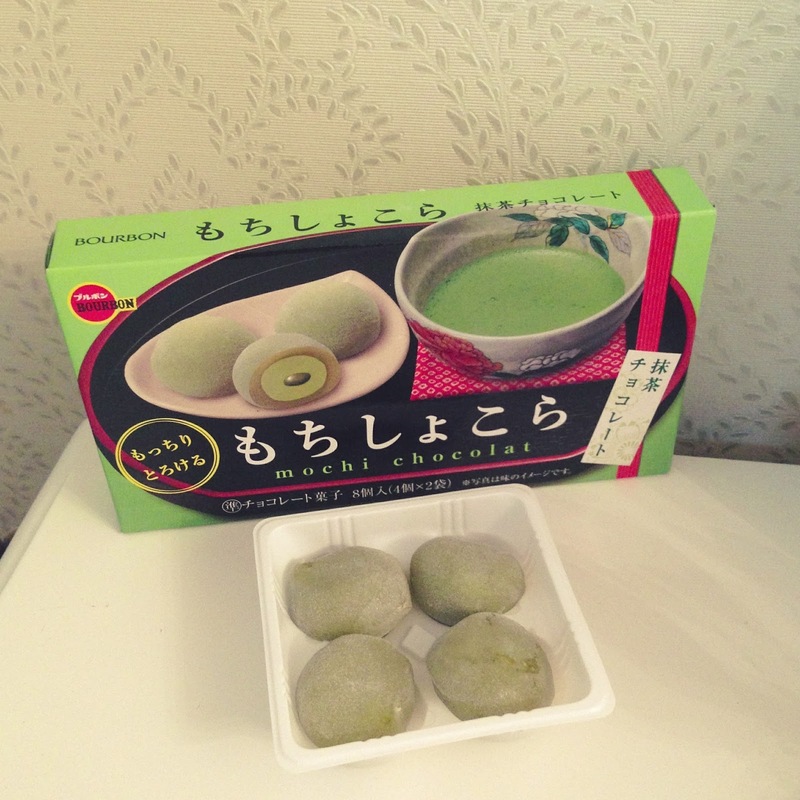 This is how it looks like, like the picture on the box it really have 3 layers..first is the mochi, then a fat matcha chocolate inside and then there is this sad dollop of (I suppose) melted matcha cream. The third layer doesn't really exist but it doesn't matter coz these two layers are amazing (i know, i know i said amazing like a thousand times already, but seriously!) Judging from my picture I think, you will think "girl, what bouncy heck you talkin' about" but seriously that sweet layer of mochi is really yummy and gummy..please pick them up and try if you found this anywhere! They're just soooo good! Hehehe nobody paying me to blog about this (although it would be awesome if there is! somebody please sponsor me already!!!) it's just me sharing a good, not so expensive chocolate mochi ever exist..